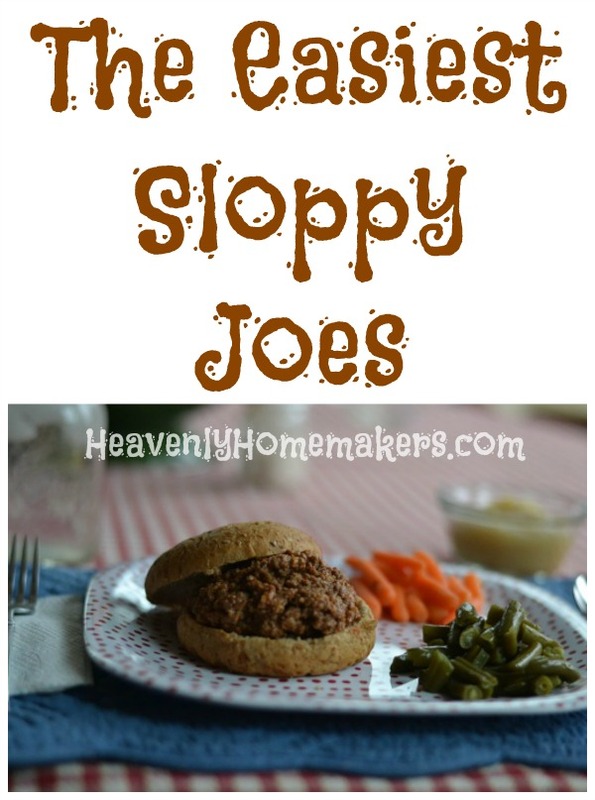 Sloppy Joes are my husband’s go-to when he’s the one to get dinner on. And boy, he acts like he’s making a gourmet meal. Sometimes he adds a few dashes of hot sauce…sometimes he mixes in salsa…sometimes he’ll add a sprinkle of my Mexican-seasoning blend or my chili seasoning blend. He might use Italian pasta sauce in place of the ketchup. Sometimes he slips a slice of cheddar or pepper jack cheese under the meat. Once he put them on extra hot dog buns we had on hand instead of dinner rolls and the kids went wild. It is ridiculous but he totally loves to show off his sloppy joe skills and our kids love seeing what version daddy makes next. That is really sweet! Sounds delicious. What a great example for your kids and a practical way to show love to you. My husband and I still get our signals crossed when I talk about “Sunday dinner” and assume he knows it is actually lunchtime. He gets confused because he didn’t grow up with that term. It makes for some interesting meal planning, lol! I’ve been watching some Priscilla Shirer videos on YouTube, particularly ones where she talks with her mom about her childhood. Her mom, Lois Evans (Tony Evans’ wife), has some really good advice on simple cooking and meal planning. She talks about doing enough planning to get something easy and healthy on the table so you can spend time talking with your kids. She also talks about being realistic with the attention span of children. That has been very encouraging, along with your posts on simple, healthy meals. What a blessing technology is! I can learn from Laura in NE and Mrs. Evans in TX! 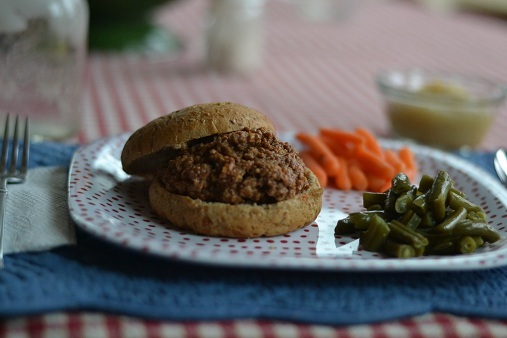 This is the best Sloppy Joe recipe ever! I am super picky and could care less if it was “simple” if it didn’t taste good. Wow, this is good! We just served it with raw carrots and ranch dip. Good job, Laura!